The Trump Insult Generator is a new app that lets anyone be insulted, for fun, by Donald Trump! Post it to Facebook and Twitter. Use it on your friends, family, coworkers, and more! Steps 1. Enter a Name any name and then press "Return" on the keyboard. You will then see a new insult with your custom name in it! Keep it or press "Next" to cycle through the various insults. 2. Once you decide on an insult, press the "Share" button. You can then post to Facebook, Twitter, Messenger, or Save Image to Camera Roll. 3. Laugh with all your friends at the new Trumpstyled, insulting message! Try it out! There are dozens to choose from. Bonus wallpapers and trivia are also included. Photos courtesy of Gage Skidmore https//www.flickr.com/photos/gageskidmore/ This application is for entertainment purposes only. 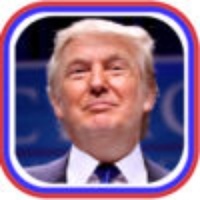 This app is not produced, affiliated with or sponsored by Donald Trump or any other political party. Application contains texts and quotes that may be taken out of context and used for comic satire. The developers support Donald Trump and want to make America Great Again! Go Trump in 2016! Try the Trump Insult Generator today! Check these links to find your download for Trump Insult Generator for & iOS or for your device iPadiPod TouchiPhone. The app Trump Insult Generator is compatible with te following devices.